According to a senior official, the Commissioner of Metro Railway Safety (CMRS) checked the Lajpat Nagar-Mayur Vihar Pocket 1 stretch for safety. Delhi Metro is all set to make the lives of commuters a whole lot easier. Delhi Metro Pink Line's Lajpat Nagar- Mayur Vihar Pocket 1 stretch is about to open soon. The Lajpat Nagar-Mayur Vihar Pocket 1 corridor has already been inspected for safety. This 9.7-km stretch is part of the Pink Line connecting Majlis Park to Shiv Vihar. The 59-km Pink Line is part of the Phase III project of the Delhi Metro Rail Corporation (DMRC). According to a senior official, the Commissioner of Metro Railway Safety (CMRS) checked the Lajpat Nagar-Mayur Vihar Pocket 1 stretch for safety. The stations on this corridor are Lajpat Nagar, Vinobapuri, Ashram, Hazrat Nizamuddin and Mayur Vihar Phase 1 and Mayur Vihar Pocket 1. Mayur Vihar Phase 1 and Mayur Vihar Pocket 1 are elevated stations. Apart from this stretch of the Pink Line, Delhi Metro is also set to soon open the 9.4-km stretch from Dilshad Garden to New Bus Adda extension of the Red Line and the 29.7-km long Aqua Line of Noida Metro Rail Corporation (NMRC). The Dilshad Garden-New Bus Adda section of the Red Line will touch Ghaziabad, connecting some of the city's most interior parts. This corridor will pass through Sahibabad Industrial Area connecting all the peripheral areas. The Aqua Line will connect Greater Noida to the metro network. However, the line will not be directly connected to the Delhi Metro and commuters will have to change trains and purchase separate tokens to use both the networks. The DMRC also inaugurated an exhibition in the upper area of the foyer of Rajiv Chowk station, on completion of 16 years of its operations, on Monday. Former Prime Minister Atal Bihari Vajpayee had inaugurated the DMRC's first-ever corridor - 8.2-km stretch between Tis Hazari and Shahdara stations of the Red Line - on December 24, 2002, fulfilling a long-cherished dream of the capital city. 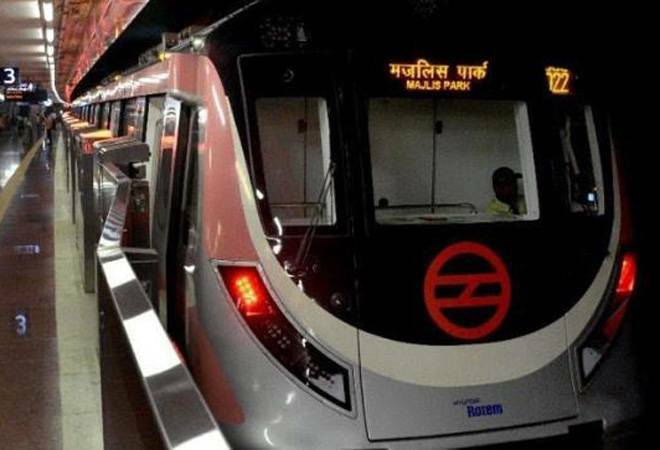 The 3.2 km-long Escorts Mujesar-Raja Nahar Singh (Ballabhgarh) section of the Violet Line was opened to public in November, taking the entire span of the Delhi Metro network to 317 km. The DMRC now boasts 231 stations, with an average daily ridership of about 28 lakh. The official said, as part of Ph-IV of the DMRC, a 103 km-long project has been proposed and Delhi Metro will continue to serve people with greater amenities and efficiency.